Comments: White, pink tinged, moderately fragrant flowers appear before leaves in spring. Plant is generally multi-stemmed with arching branches. Should be pruned regularly after spring flowering to prevent plant from becoming rangy and unattractive. In cooler parts of growing range, leaves may become purplish in autumn. 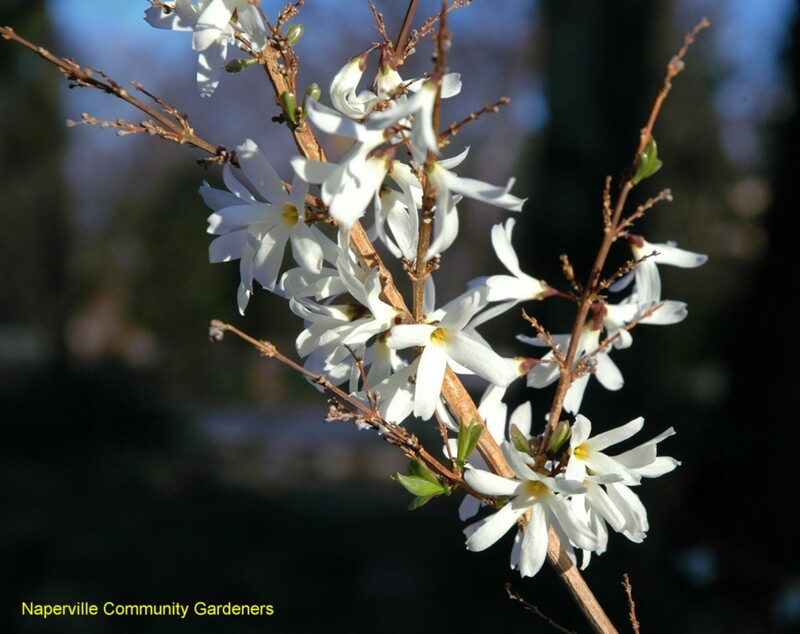 White forsythia are modeately drought tolerant.